Newcomers Loud Luxury and Bülow also scored multiple nominations. Shawn Mendes leads this year's Juno Awards with six nominations, followed by the Weeknd with five. Last May, Mendes released his self-titled third studio album, which debuted at No. 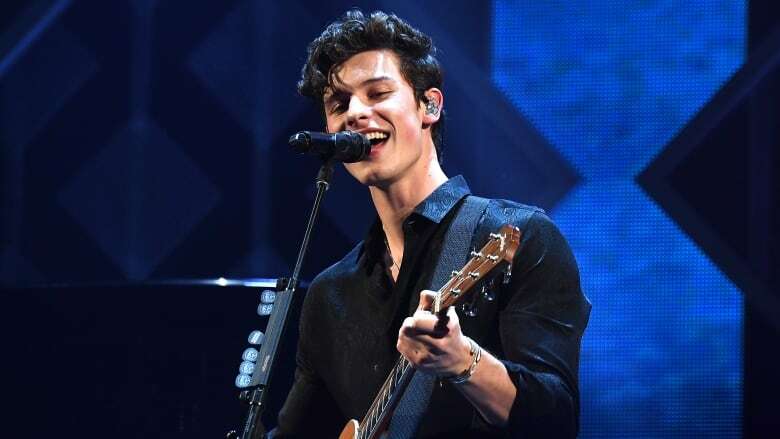 1 in Canada and the U.S. His single "In My Blood," which scored the singer his fifth top 10 song in Canada, was critically acclaimed, and Mendes was praised for his openness about his mental health and struggles with anxiety. Shawn Mendes is also currently up for two Grammy Awards: best pop vocal album and song of the year for "In My Blood." While the Weeknd didn't release a full-length record in 2018, he is being recognized for his latest EP, My Dear Melancholy, as well as his collaboration with rapper Kendrick Lamar on "Pray For Me," a song on the Grammy and Oscar-nominated Black Panther soundtrack. Tied for the third-most Juno nominations are electronic duo — and performers at this year's Junos — Loud Luxury, plus German-Canadian pop singer Bülow. Artists who scored three nominations include last year's host, Michael Bublé, as well as Alessia Cara, Tory Lanez, Hubert Lenoir, Killy and Bahamas. Scroll down for the full list of nominees. The 2019 Juno Awards will take place in London, Ont., on Sunday, March 17. B​ülow, "Not a Love Song"
Wherever you are on March 17, you can watch the Juno Awards live from Budweiser Gardens in London, Ont., at cbcmusic.ca/junos.